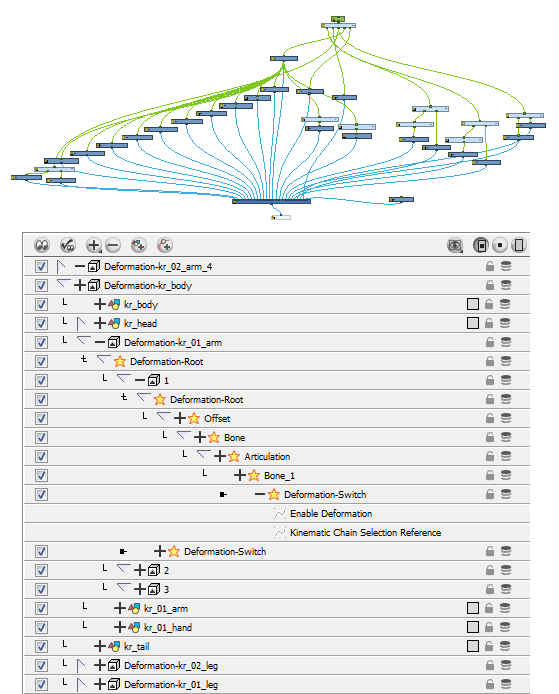 The deformation effect layers and modules are visible in the Network and Timeline views. You can modify the value and set up the function curves using both views. Refer to Animation Paths to learn how to work with functions.